The Past, as they say, is Another Country. 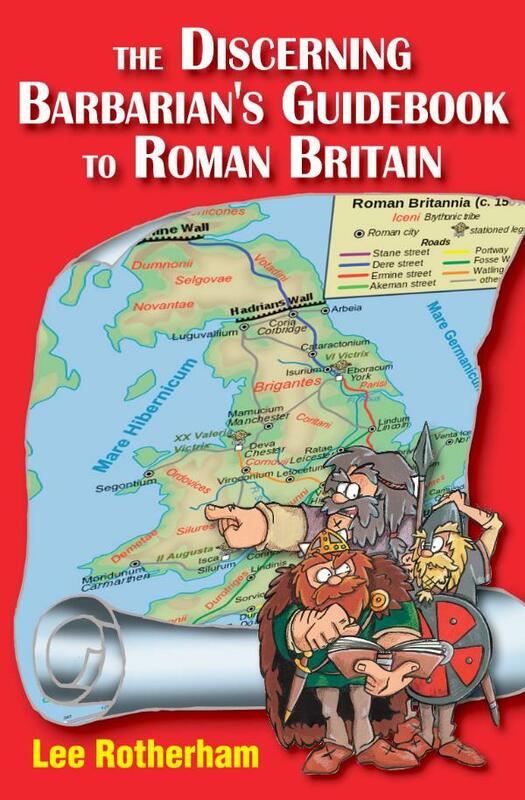 Now there is a guide book to Britain as it was in Roman times. Written by Dr Lee Rotherham this book tells the average modern Briton everything they would need to know when visiting Roman Britain. Whether it is the construction of villas and bath houses, the history of the province or army organisation, this book contains enough nuggets of knowledge and background information to keep the most curious modern reader entertained for hours. Written as if it were a guide book to be used by a visiting barbarian, and profusely illustrated with maps, reconstructions and photos, this book is the essential guidebook to Roman Britain. As Childeric the Sluggish writes: “Pillaging is a tough line of work. You spend half your time rowing to somewhere swampy, hide your boat somewhere where it takes hours to find it again afterwards, and then have to run round the countryside like a mad thing to grab your trinkets and livestock before the nearest guard force comes charging down the road after you. “This book is a real help. Nowadays, I while away my hours crossing the northern sea picking my spots with care, safe in the knowledge that I can park in a nice sandy beach only a quick hour’s jog from some unsuspecting person’s villa. Dr Lee Rotherham is by background a linguist, historian, author, political agitator and occasional soldier. Having written widely on EU affairs and on government waste, he here returns to his academic roots after being serially impressed by the evocative illustrations on display boards at numerous historical sites, particularly those commissioned by English Heritage where he once briefly worked.